• Top handle with 2.5" drop. 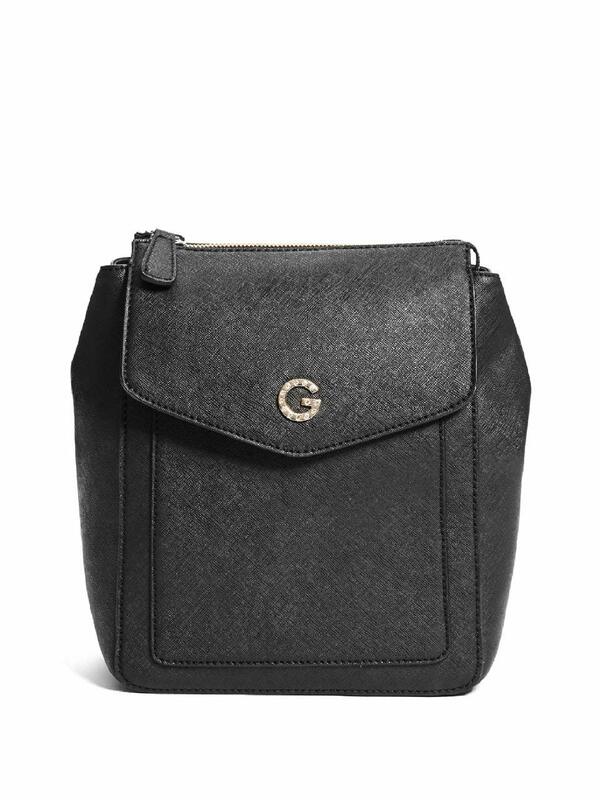 Adjustable backpack straps with 15" drop. 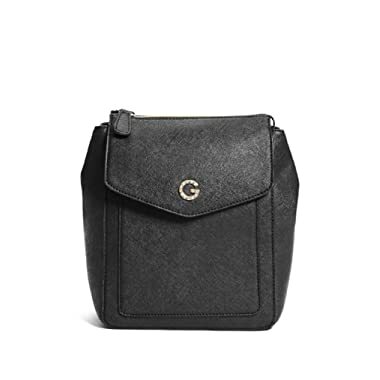 You'll shine with this faux-leather mini backpack adorned with a rhinestone-embellished G logo and front flap pocket. 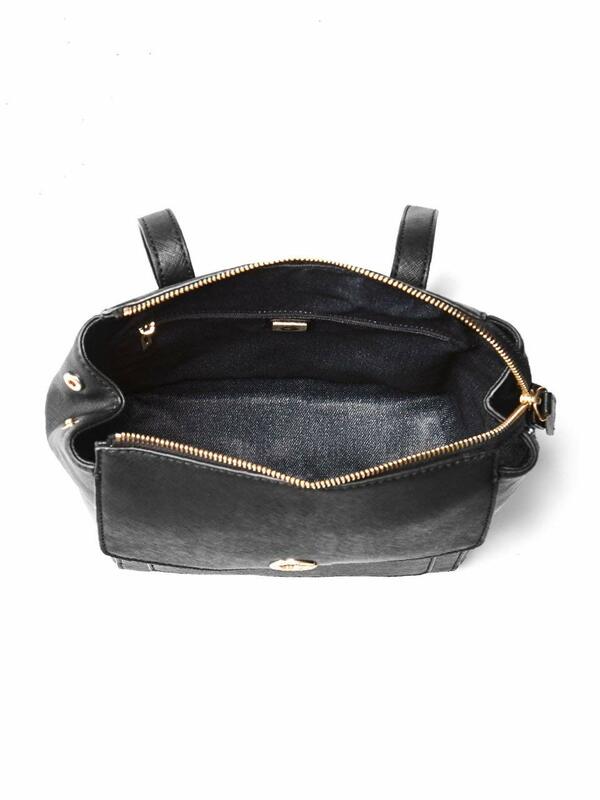 Top zipper closure and interior pockets.